Hi, everyone! 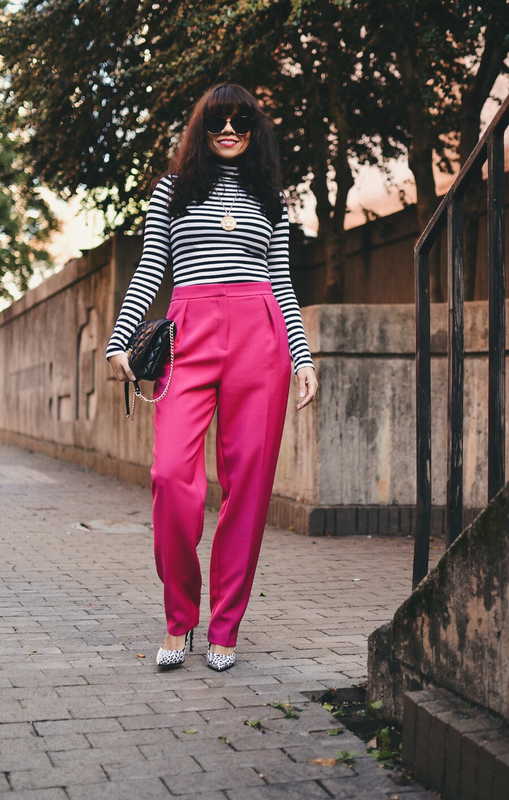 Today, I want to draw your attention to my peg leg trousers, which by the way, this style pant should be a staple in every woman wardrobe. The pants I'm wearing today supposed to be a cropped style, however, I've been more than ready to wear really long pants again. Instead of ordering a regular size, I ordered the tall version so they could fit me very long. I wanted to have a pair of peg pants that I could benefit from wearing with the hem unfolded for high heels or folded for low-heeled shoes. I can tell you that I'm very happy to see that the longer pants are having a comeback because soon, we will be able to find more choices. As a petite gal, I benefit tremendously from long pants. They help so much to create the illusion of a taller body and when they're slightly high waisted, they will make you look even taller. 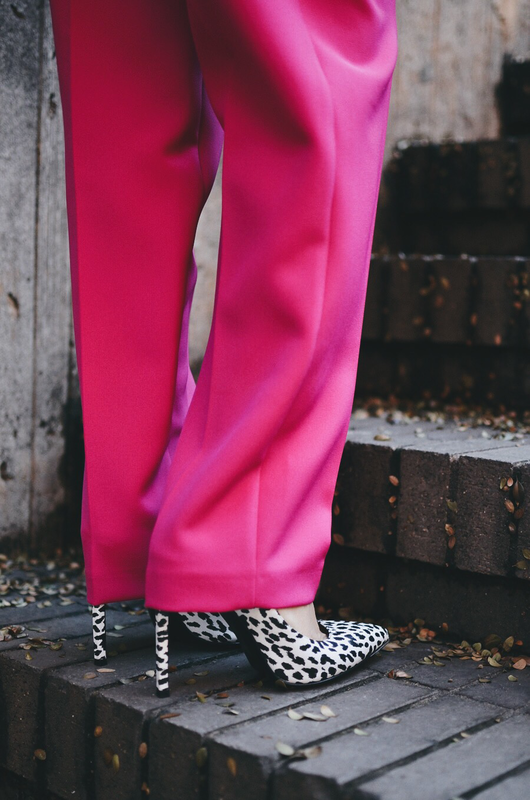 Peg pants: TopShop. Shop in blue and green/Turtleneck: H&M. similar/Coat: Vintage. Similar and cropped version/Bag: Kate Spade. Similar/Sunglasses: Tom Ford/Pumps: Saint Laurent. Similar. This look below is my favorite when wearing long pants with stiletto heels. I love how the pants cover a portion of the heel. El combo es espectacular Carelia ! La chaqueta de pelo, el pantalón rosa chicle, los zapatos en animal print ... ! !